VOLO GO Review [Kickstarter] — Why it's too good to be bad? 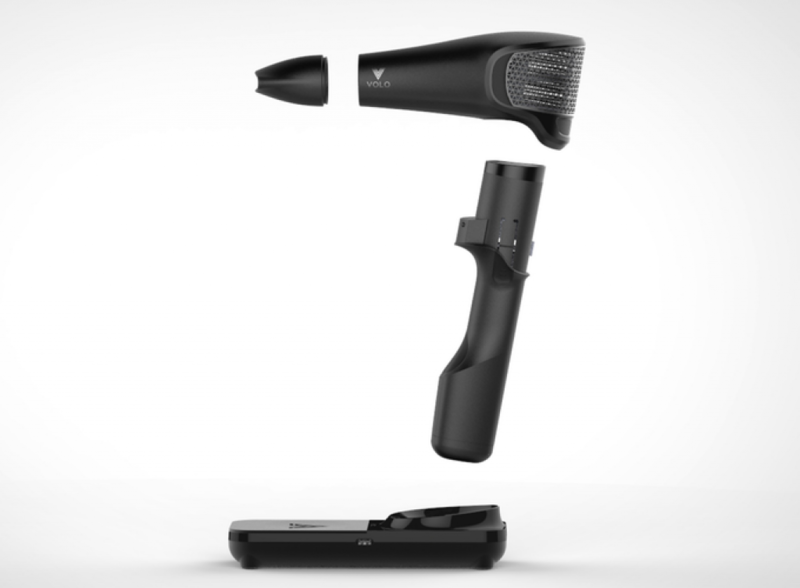 The VOLO Go is a cordless hair dryer that uses infrared technology. It’s designed to use up to 3 times less energy than other hair dryers. In this article, I detailed the pros and cons of this crowdfunding product, and help you to decide iwhether to spend money on it. Traditional hair dryers dry your hair from the outside in, which leaves the outside damage. But, because of radiant infrared, not only will your hair dry faster when using the VOLO Go, it won’t fry your hair, either. This sounds like new, innovative technology that could make our lives better and give us healthier hair. But, there are a few drawbacks that you should know before you decide to buy. Review and Debunk — Worth it? First of all, if you buy the VOLO Go, you should probably hope that it actually is good for your hair. There’s no diffuser for the VOLO Go. You can purchase a universal diffuser like this one to go on it, but that’s a bit of a pain. The company did give the measurements in order for customers to buy their own diffusers (2 inches diameter, in case you need to know), but they have no plans of creating a diffuser to go with the VOLO Go, which is a bit of a bummer. Although the company markets the VOLO Go as something that would be good for trips, going to the gym, etc., it has an incredibly short battery life. It will only run for 14 minutes on high, 24 on medium and around 2 hours on the “cool blast” setting. They say that even a person with long, thick hair can successfully dry it with the VOLO Go in around 7 minutes. If that’s the average, then you may get two whole uses before you have to plug it in and recharge it. If you’re traveling or on vacation, you’re going to have to remember to charge it. And, you’re going to have to remember to charge it every time you go to the gym. Either scenario seems like a pain. Although it uses a lithium-ion battery, you can’t replace the one it comes with for other rechargeable batteries. This means that if you’ve lost the battery, or the charging mechanism, you’re just out of luck. Right now there isn’t an option to buy a package that has more than one battery pack, either, so you can’t just buy spares. They may make batteries an add-on option after the campaign is over, however. Until recently, there wasn’t an option to buy only the hair dryer and the charger. This was a problem, and still sort of is, because the bonuses consist of a VOLO Hero towel and a box of “high-end” beauty products. The towel is supposed to cut dry time in half, which would be nice. But the towel isn’t the problem for most people. There are a lot of people with allergies to ingredients in beauty products, even if they are “high-end”. So, for these people, their options are to pledge for just the hair drier itself, or to pledge for a box of mystery beauty products that may result in allergic reactions. And, it seems more likely that they’d like an extra battery than a box of stuff that they’d have to figure out how to sell or give away. So, is the VOLO Go worth buying? Maybe if you’re constantly needing a hair drier while you’re away from your home, or if you’re worried about your traditional hair drier’s energy consumption. But, even at that, you’re going to have to remember to charge it because you’re going to get one or two uses out of it and then the battery will run out. We’ll have to wait until the rewards are fulfilled to see what backers say about it actually being better for their hair than traditional hair dryers, but if it is, it might be worth investing in. And, if you’ve got allergies to common beauty product ingredients, you should steer clear of the “beauty box” gimmick. Overall, I would say that waiting for either the next campaign or the next prototype is best. The next model will likely have a longer battery life on it and have extra batteries because I see these being things that people will complain about. This campaign is funding on Kickstarter. This hair dryer uses infrared!